If you're on a popular Reddit comment thread, there's a good chance you'll come across at least one mention of Hitler or Nazi Germany. A data scientist who blogs with the pen name Curious Gnu analyzed 4.6 million publicly available Reddit comments. He found that 78% of subreddits with more than 1,000 comments have at least one mention of Hitler or Nazis. Some of those the subreddits invite comments about Nazis, since they're focused on political and geographical discussions. The subreddit called "History" has by far the largest number of Nazi mentions, with 2.5% of all comments involving Hitler and related topics. That subreddit is followed by "AskHistorians," "European," "Italy," and "De" (short for Deutschland). But even if you strip out history subreddits, there's really no avoiding Hitler on Reddit. As you'd expect, the more comments a subreddit has, the more likely it is to feature at least one Nazi or Hitler reference, Curious Gnu found. The top non-history subreddit for Hitler references is "Forwards from Grandma," which catalogs emails that people's grandmothers send them. No surprise there. But the subreddit "GamerGhazi," a comment thread dedicated to the GamerGate controversy, also topped the list -- about 2% of GamerGhazi comments mention Hitler or Nazis. "Ask TrumpSupporters," "The_Donald," "CapitalismVSocialism," "ExMuslim" and "WorldNews" also had about 1% of comments that mentioned Nazi Germany. A spokesman for Reddit did not respond to a request for comment. That Hitler references are pervasive on Reddit shouldn't come as a surprise to anyone who has ever, you know, used the Internet. Comment threads have a way of getting seriously off topic and devolving into tirades about politics, race and, eventually, Nazi Germany. In fact, there's an old Internet adage called Godwin's Law, which states, "As an online discussion grows longer, the probability of a comparison involving Nazis or Hitler approaches 1." But 1,000 comments seems to be Reddit's magic Nazi number. When a thread on a non-history subreddit had between 900 and 1,000 comments, there was only a 46% chance it would involve Nazis or Hitler. Add just 100 comments, and that percentage soars to 70%. Reddit has come under intense scrutiny lately for its Wild West reputation. The site is an open forum where people can discuss or share just about anything. 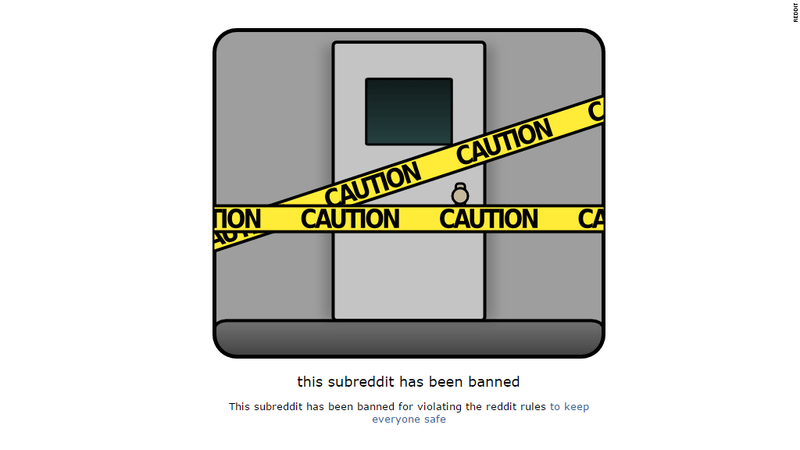 It used to allow people to discuss literally anything, but the site has begun to shut down subreddits and block people that bully or harass other users.